The Atmel SAMA5D3 Xplained evaluation kit (ATSAMA5D3-XPLD) is a fast prototyping and low cost evaluation platform for microprocessor-based design. 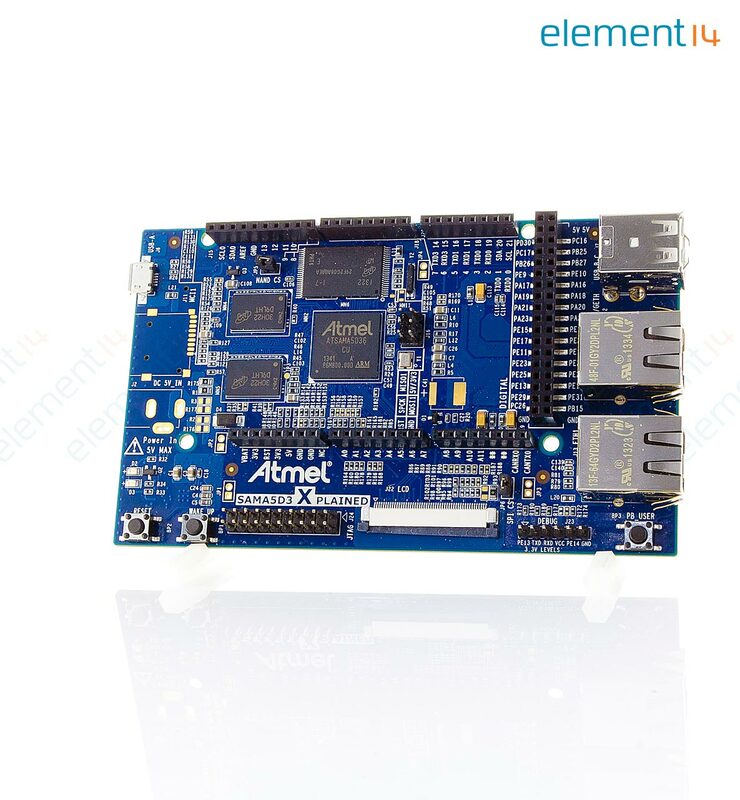 The board is based on Atmel's SAMA5D3 ARM Cortex®-A5 processor and comes with a rich set of ready to use connectivity and storage peripherals and expansion headers for easy customisation. A USB device connector can be used to power the board and also for programming and debugging it. It also comes with a free of charge Linux distribution including Linux Kernel 3.10 (LTS), Linux Mainline and Yocto 1.5.1 support. Bare metal developers benefit from a complete C software package including many examples to get started fast. The board is also a perfect development platform for headless Android. This is an open source dev kit offering full documentation including: source code, schematics, gerber files, application notes and full datasheet.